Oleg Vladimirovich Deripaska is a Russian billionaire whose total net worth is around $3.8 billion (as of 9/22/2015). Oleg was born on January 2, 1968 in Russia in the Dzerzhinsk area which is a few hundred kilometers from Moscow. Though his net worth which was just a little than $30 billion in 2008 has come down considerably to about $4 billion, this doesn’t change the fact that he is the owner and driving force behind the company that happens to be the world’s largest aluminum producer. In 1985, Mr. Deripaska finished school with distinction in the Krasnodar Region of southern Russia. In 1993, he graduated with honors from Moscow State University’s Physics Department and, three years later, got his Master's degree. This degree was conferred on him by Moscow’s Plekhanov Academy of Economics. Between 1986 and 1988, he was actively employed with the Soviet missile forces, where he was posted to the Trans-Baikal area. In 1994, he was appointed general director of the Sayanogorsk Aluminium Smelter in Eastern Siberia. Under his leadership, the smelter became an industry leader for labour safety, environmental standards, product quality, technological development and profitability. In 2000, Russian Aluminium (RUSAL), the first vertically integrated company, was set up by bringing together Russia’s largest aluminium smelters. That same year, Oleg Deripaska became a CEO of RUSAL. 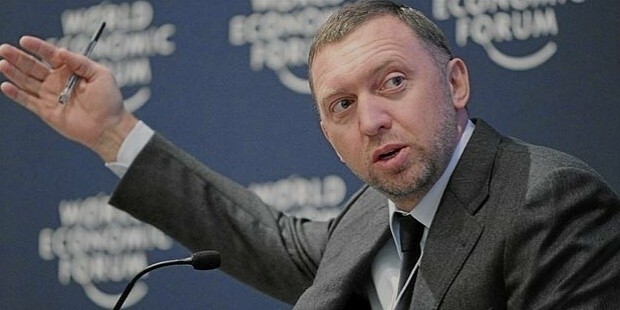 In 1999, Mr Deripaska was elected a vice president of the Russian Union of Industrialists and Entrepreneurs. A year later he became a Chairman of the Executive Board of the Russian National Committee of the International Chamber of Commerce. In 2001, Mr Deripaska created one of Russia’s largest diversified industrial groups Basic Element that later incorporated all the business assets controlled by Mr Deripaska. Currently Oleg Deripaska serves as the Chairman of the Supervisory Board of Basic Element group. 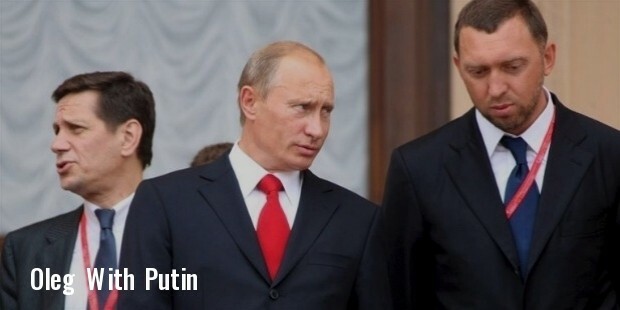 He is the president of Russia’s leading natural resources industrial group En+, president of the global aluminium company UC RUSAL, the world’s leading aluminium producer and a member of the boards of directors for various companies of Basic Element group. A number of companies of Basic Element group play a significant role in Russia’s economy and industrial sectors, e.g. En+ Group, GAZ Group, Basel Aero etc. 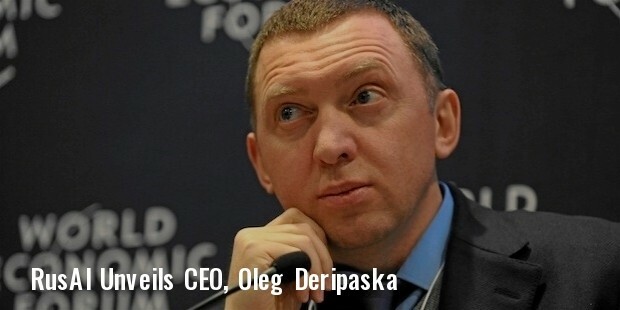 Oleg Deripaska sits on the board of trustees of the Bolshoi Theatre, the School of Business Administration, the School of Public Administration, and the School of Economics at Moscow State University and the School of Business Administration at St. Petersburg State University. In 2000, Oleg Deripaska was awarded the Order of Friendship, a state award of the Russian Federation. In 2013, Oleg Deripaska was honored as Industry Ambassador of the Year by the Metal Bulletin Global Awards for Aluminum Excellence. Wife – Polina Deripaska is the Chairman of the board of directors for the Forward Media Group. Children – Peter (2001) and Maria (2003). 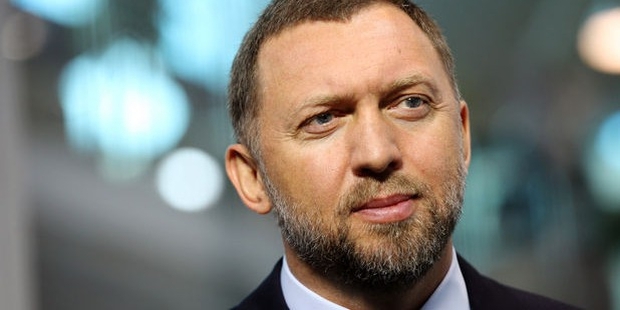 Deripaska was named Businessman of the Year in 1999, 2006, and 2007 by Vedomosti, a business publication partner to the Financial Times and The Wall Street Journal.